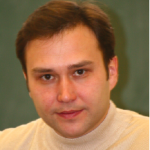 V.V Sobolev, M.E Sautin, E.S Piruzian, I.M Korsunskaya, A.V Melerzanov, O.A Svitich, A.A Lavrov, and A.L Piruzyan present the findings from their comparative study on the gene expression levels for IL-17 in psoriasis and therosclerosis patients. Atherosclerosis is a chronic, progressive disease in which the arteries thicken and narrow as a result of the accumulation of fatty substances. 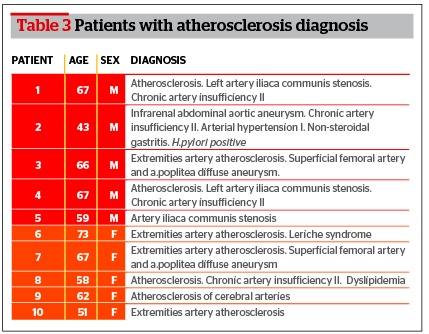 Characterized by long-term and asymptomatic progression, atherosclerosis is a major mortality risk in developed countries. According to the references, inflammation is the key factor in the development of atherosclerosis1,2 and psoriasis3. 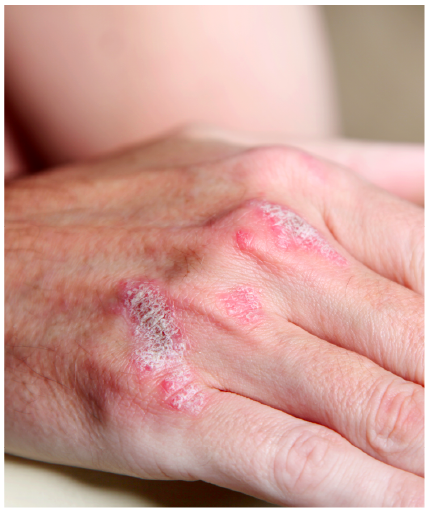 Psoriasis is a chronic inflammatory skin condition characterized by typical erythematous, scaly skin lesions, hyperproliferation of epidermal cells, acanthosis, inflammation in the dermis, and often associated with systemic manifestations. The etiology includes genetic and environmental factors4. Interleukin–17 (IL–17) is a cytokine that acts as a potent mediator in delayed-type reactions by increasing chemokine production in tissues in order to recruit monocytes and neutrophils to the site of inflammation. IL-17 is produced by Th17 cells, and results in destructive tissue damage in delayed-type reactions. The IL-17 cytokine family includes six members: IL-17A, IL-17B, IL-17C, IL-17D, IL-17E, and IL-17F. IL-17A is often referred to as simply ‘IL–17’ and is an important proinflammatory cytokine with a critical role against extracellular microorganisms and the pathogenesis of different autoimmune diseases6,7. Scientific data confirms an active role of IL-17 in the development of inflammatory diseases, autoimmune pathogenesis, and malignant tumors8. The signal pathway of IL-17 functions in different tissues, such as cartilage, bone, meniscus, brain, hemotopoietic tissue, lung, kidney, skin, and bowel. Hence, ligands and receptors for the IL-17 family may play a major role in tissue homeostasis and in the pathological processes of the immune system. Increased levels of IL-17 are associated with a number of pathological conditions, such as respiratory tract inflammation, rheumatoid arthritis, intraperitoneal abscesses, inflammatory bowel diseases, psoriasis, cancer, and multiple sclerosis8. 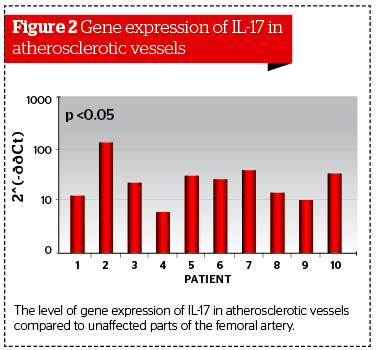 The role of IL-17 in psoriasis and atherosclerosis remains unclear and is the reason behind the authors’ decision to investigate the role of IL-17 in molecular mechanisms during the development of these diseases. With the aid of real-time polymerase chain reaction (PCR) the authors analysed and compared the gene expression levels for IL-17 in visually unaffected skin and psoriatic lesions in psoriasis patients, as well as atherosclerotic affected vessels and unaffected parts of the femoral artery in atherosclerosis patients, respectively. 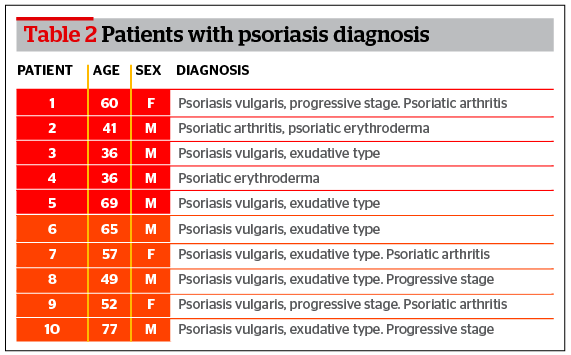 A total of 20 patients diagnosed with either psoriasis or atherosclerosis were recruited from the P.V. Mandryk State Medical Center and the dermatology department of the state hospital (Moscow, Russian Federation). The study was approved by the local ethics committee at the Genetics Institute of the Russian Academy of Sciences (RAS) and was conducted in agreement with the principles of the Declaration of Helsinki. 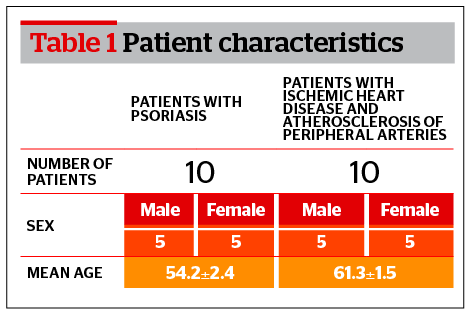 Characteristics of patients enrolled in the study are listed in Table 1. The first group includes 10 patients (5 men and 5 women) with psoriasis. The second group includes patients with atherosclerosis of large blood vessels who have undergone surgery for artery stenosis. For the quantitative determination of the changes in ribonucleic acid (RNA) expression, the biopsy material used was collected from 10 patients with psoriasis. The mean age was 54.2 years (Table 2). Skin sample collection was performed under local anesthetic with the use of dermatological biopsy punch (4 mm). 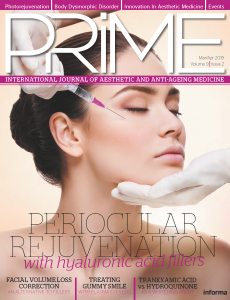 Patients received no systematic PUVA/UV therapy for a month before the skin biopsy. Biopsy samples from unaffected skin regions were taken at a distance of 3–4 cm from psoriatic lesions. RNA isolation was performed from biopsies using Qiagen columns and standard RNeasy Mini Kit skin protocols (Qiagen, Germany). To remove DNA contamination from RNA preparations they were treated with Qiagen DNase. A reverse transcription reaction was performed as follows. 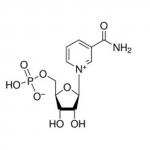 In 200 μl PCR tube buffer, add deoxynucleotide (dNTP), 100 U Moloney-Murine Leukemia Virus (M–MLV) reverse transcriptase (Promega Corporation, Madison, Wisconsin, USA), 20 U RNasin (RNase inhibitor), 500 ng oligo(dT)12–18 primer, and 100 ng/μl of RNA. The mixture was incubated for 1 hour at 37°C. Real-time PCR was conducted in 96-well optical plates using fluorescence labeled oligonucleotide probes. Reaction was conducted using a reaction mixture 2.5 times the volume of the total PCR mixture, supplemented with ROX reference dye (Syntol, Russia). 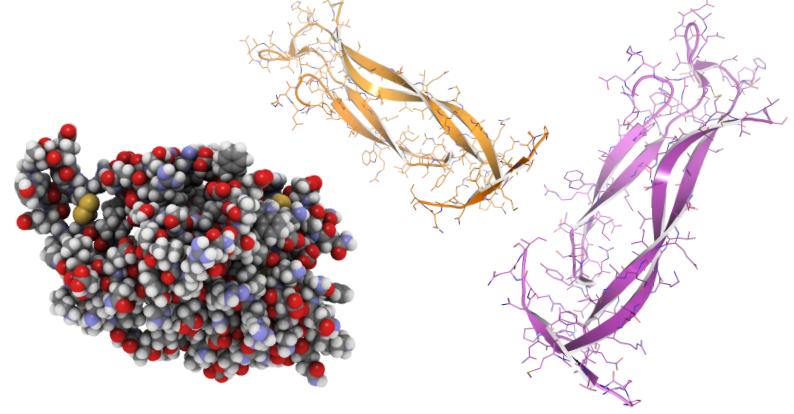 Primers and probes were obtained from DNA Synthesis. Steps 2–4 were repeated 35 times. GAPDH was used as a housekeeping gene and target gene expression was normalized in respect to its messenger RNA (mRNA) quantity. GAPDH and target gene expression was conducted in separate tubes. Analysis of the PCR results was conducted using the 2‑ΔΔCT method, according to Livak and Schmittgen7. ΔΔCt was calculated as follows: ΔΔCt = ΔCt(affected biopsies) – ΔCt(unaffected biopsies), with ΔCt = Ct(the analyzed gene) – Ct(GAPDH). Each sample was analyzed in triplicate. The biopsy material collected from patients with atherosclerosis was used for the quantitative analysis of RNA expression changes. The mean age was 61.3 years (Table 3). The group consisted of 10 patients with femoral artery atherosclerosis, atherosclerosis of thyroid gland vessels, and aortic aneurism. Collection of atherosclerosis biopsies were completed during operations on affected vessels and unaffected parts of femoral artery were used as a control sample. After the dissection of the vessel the intima was isolated. The intima was placed in 0.9% NaCl solution. Isolated fragments of the affected vessel were frozen in liquid nitrogen. The time period from the biopsy collection to freezing was no more than 3 minutes. The analysis of RNA expression in 20 skin samples collected from 10 patients with psoriasis and 20 vessel samples collected from patients with atherosclerosis was undertaken with the aid of real-time PCR. The analysis of data collected from patients with psoriasis showed a significant increase in the gene expression for IL-17 in the unaffected skin biopsies. The maximum increase was detected in patient #7 (173.2 times greater than compared with visually unaffected skin). The average increase was 54.4 times greater (Figure 1). The results were normalized to the GAPDH gene from the unaffected biopsies. In patients with atherosclerosis of large blood-vessels, biopsy samples were collected from affected and visually unaffected parts of the vessel. Biopsy was performed before the prescription of statins or after a period no less than 3 months after the use of the drug. During the analysis of the expression level for the IL-17 gene, the authors detected significant differences between affected and unaffected biopsies. In the affected part of the vessel, compared with its visually unaffected part, a significant increase in expression level for IL-17 was detected. The maximum increase level was measured in patient #2 (123 times greater than compared with the unaffected part of the vessel). The average increase was 25 times greater (Figure 2). 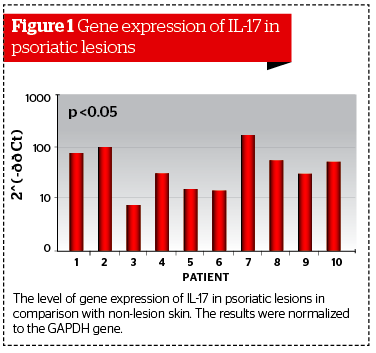 The increased expression of the IL-17 gene in affected vessels and psoriatic lesions confirms a major role of the IL‑17 family in the initiation and progression of inflammatory diseases. IL-17 is a pro-inflammatory cytokine owing to its ability to increase the level of different inflammatory mediators (IL-1beta, IL-6, IL-12, IL‑10, TNF-alpha), especially for those that are involved in neutrophils proliferation, maturation, and chemotaxis. Investigators associate the increased level of IL-17 with some chronic inflammatory diseases, such as psoriasis and atherosclerosis10,11. The IL-17 produced by Th17 cells act on different cells populations in inflammatory tissues, including fibroblasts, chondrocytes, osteoblasts, mast cells, neutrophils, and epithelial cells in vessels and skin12. Psoriasis and atherosclerosis are inflammatory diseases, so an increase of IL-17 expression in atherosclerotic lesion vessels and psoriasis skin lesions indicates the key role the Th17 cells play in these diseases. The IL-17 stimulates keratinocytes and epithelial cells of vessels to produce CXC chemokine: CXCL1, CXCL5, CXCL8, attractants of neutrophils and CCL20, which attracts CCR6+ cells to the inflammation area13. The IL-17 triggers synthesis of IL-6 in fibroblasts, which activate and differentiate the native T-cells to Th17, which leads to the generation of a positive feedback and the support of an inflammatory reaction to Th17 in both diseases14. In all likelihood, the IL-17 involved in the molecular mechanisms of atherogenesis and psoriasis performs the inflammatory role in many processes, such as cell adhesion, blood cell movement in tissue, activation cells, and T-cell (co)stimulation/proliferation, as well as the presentation of antigens in the inflammatory cascade for atherosclerosis and psoriasis. Therefore, it is possible to assume that a high-level expression of the IL-17 gene can represent the pathological process in psoriasis and atherosclerosis and indicates the effectiveness of treatment at the molecular level.